The front desk staff were very friendly and informative. My room was ready before check in time which was great because I was very early. The beds are super soft and comfy. The room was very clean. The location is very close to the bus stop, the old port, 2 museums, and the main area with all the restaurants and souvenir shops. Location is fantastic. Only 5 min walk and you are at the center of fira. Great selection of breakfast. The bathroom is huge. The location, close to main street and supermarket. The hotel shuttle is very good at price compared to others. The breakfast was also tasty. Fantastic value for a fantastic hotel in a fantastic location. We stayed in Europe for 5 weeks and Loizo's was by far our best experience. The rooms were great, clean comfortable. Breakfast was a great buffet. Short walk into the centre.. The STAFF were amazing, could not do enough to help and assist us and our guests. I got married in Santorini and most of our group stayed at Loizos and could not recommend them enough. My husband and I stayed a few nights at a fancy hotel for the actual wedding and ended up coming back to Loizos for help with booking things - restaurants, bikes etc. AS they were so helpful and lovely to deal with. We loved this place! The location was great, only a short 5 minute walk to the center. The hotel was clean and the staff was very helpful. The breakfast was also very nice on the balcony. We would recommend Loizos and we will definitely be back! The room was clean and comfortable with air conditioning. The location was great. There is a bus station and a supermarket about 5 minute walk. You can also walk to the old port which takes about 15 minutes to get to the steps and from there you have to walk down to the port. You can also book a transfer to and from the New Port with the hotel which we found very convenient. The front desk was so helpful and amazing! the pool was amazing! The location is right where you want to be! Stay was great, everything was clean and modern decorated. It was a great choise to stay close to the caldera. 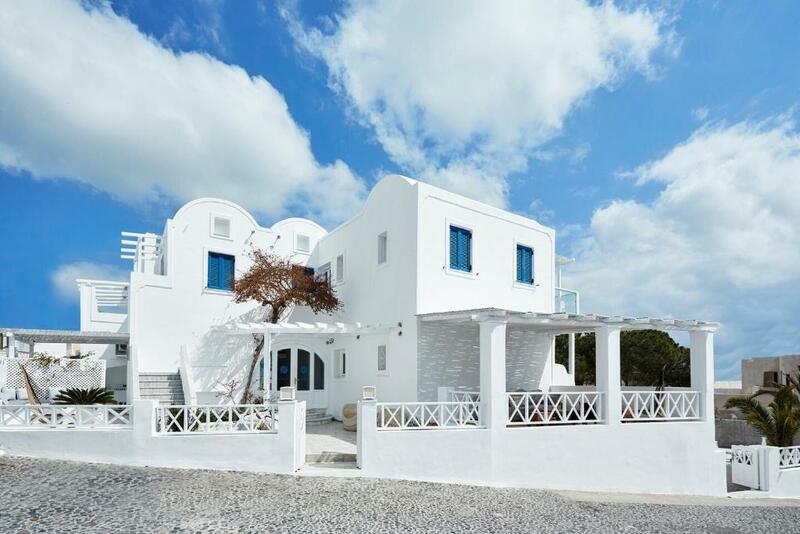 Lock in a great price for Loizos Stylish Residences – rated 9 by recent guests! 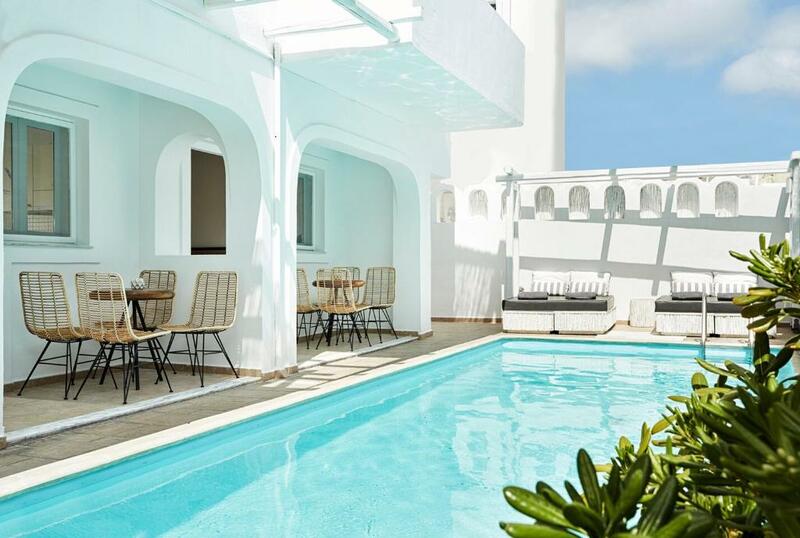 Just 50 feet from the famous Caldera-volcano-and-sunset viewpoint in Fira, Loizos Apartments offers accommodations coupled with pool facilities, close to the center of Fira. All comfortable and renovated studios have private bathroom with toiletries, and balcony or access to the courtyard, some with sea views. Each is air conditioned and further equipped with fridge, satellite TV and free Wi-Fi. A breakfast room with large balcony and open horizon view is the best way to start the day. 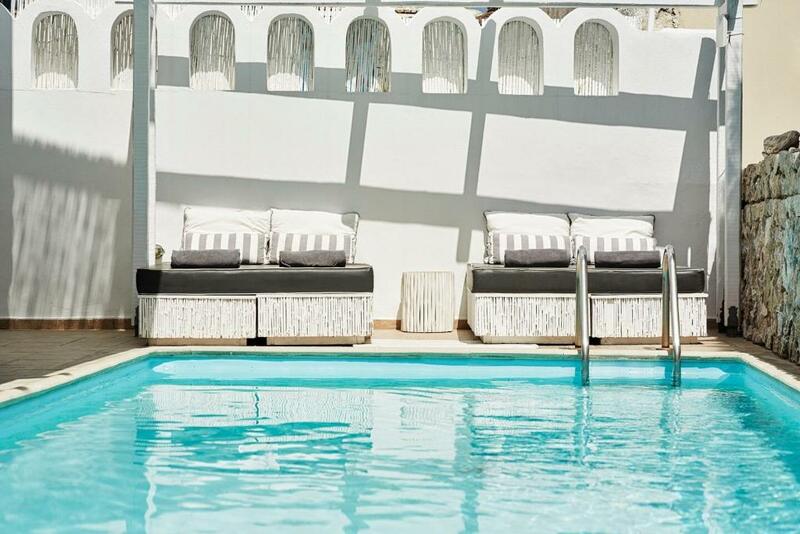 Stone-paved surfaces around the hotel lead the way to the swimming pool and its furnished sun terrace. 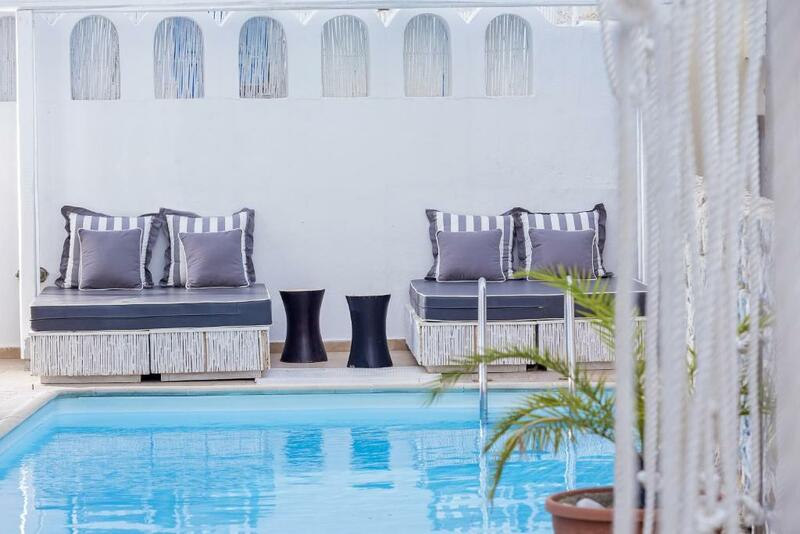 The picturesque Fira Town with its charming cafes and variety of restaurants, art galleries and local shops is within walking distance from the hotel. A local supermarket, the bus and taxi terminal, banks and museums, the local bookshop and the post office are close by. 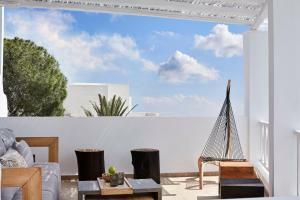 When would you like to stay at Loizos Stylish Residences? This room is located on the ground floor and includes a fridge, a satellite TV and a private bathroom with toiletries and hairdryer. Please note that this room type has no balcony nor view. Superior rooms are located on the reception floor and includes a balcony, a fridge, a satellite TV and a private bathroom with toiletries and hairdryer. Kindly note that this room type cannot accommodate an extra bed or baby cot. This room type offers no views. 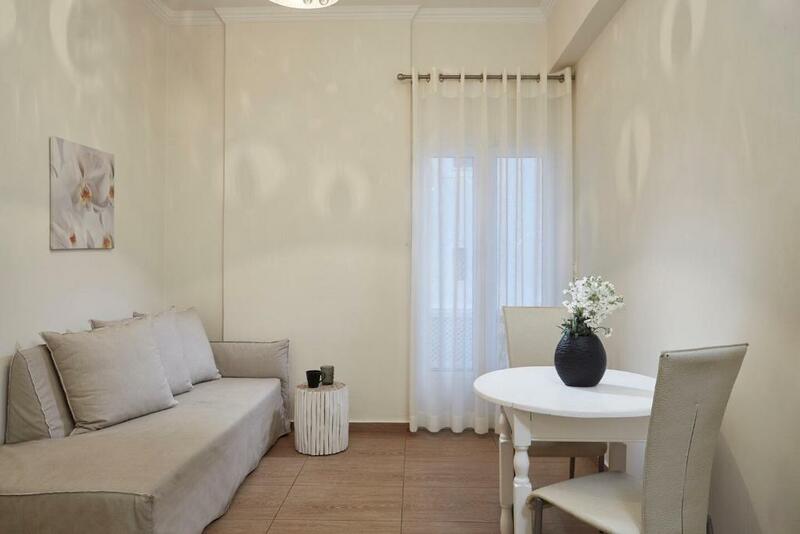 Consists of 2 rooms; one room with double bed and private door, second room with 2 beds without private door. The family rooms are on the pool or reception level with pool or city views. Please note that this room type cannot accommodate an extra bed and is not suitable for couples that need more privacy. No sea view is available. All executive rooms are on the second floor with high-quality equipment, stylishly furnished and offer balcony with views to the Aegean sea. They all have air conditioning, a 32-inch flat-screen TV and fridge. 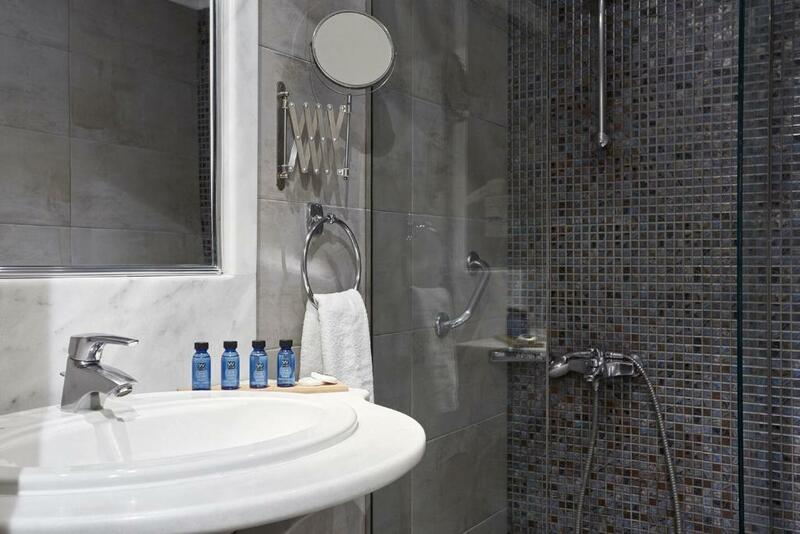 Stylishly refurbished room located on the top floor and opening to a balcony with city view. It includes a fridge, a satellite TV and a private bathroom with toiletries and a hairdryer. A two-story traditional room with sea view. The first level offers a comfortable sitting area with sofa and sea view balcony. The bedroom is located on the upper level. They all have air conditioning, a 32-inch flat-screen TV and fridge. This suite is on the 2nd floor and features an indoor hot tub. Enjoy Aegean Sea and sunrise views from the balcony. It includes air conditioning, a 32-inch flat-screen TV and fridge. 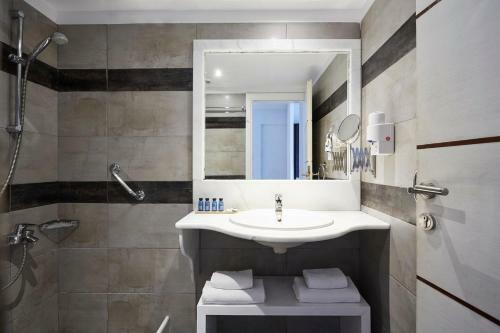 This room is located on the pool level and includes a fridge, a satellite TV and a private bathroom with toiletries and hairdryer. Please note that this room type cannot accommodate an extra bed . This apartment is located on the reception floor and consists of 1 bedroom and seating area with 1 sofa bed. It includes a fridge, a satellite TV, a balcony with city views and a private bathroom with toiletries and a hairdryer. Kindly note that no sea view is available . This stylishly furnished room is located on the top floor and opens to a balcony with city views. It Includes a fridge, a satellite TV and a private bathroom with toiletries and hairdryer. This stylish room opens to a terrace with an outdoor jetted tub. It includes a modern bathroom with bathtub and shower, free toiletries and a hairdryer. A mini fridge and an espresso coffee machine are featured. House Rules Loizos Stylish Residences takes special requests – add in the next step! Loizos Stylish Residences accepts these cards and reserves the right to temporarily hold an amount prior to arrival. We had a fantastic stay at Loizos. Great location, beautiful room and lovely helpful staff. We opted for the breaky several mornings and would recommend it as great value for money. Thanks for the stay, we hope to come again. Unluckily that I was showering when the hot water system went down, so I had to waited, not that long, but it's just not a good experience (around half an hour or so). Staff were brilliant and friendly, nothing was too much. The room was clean, albeit quite basic for a superior room! The Family room was bug and spacious, and having a kitchenette in both room was fantastic! The location was superb, round the corner from the bus station and a couple of minutes walk from the centre of Fira. Its a 10/10! We liked everything! Fully recommended hotel at a perfect location near to caldera, center of town, busterminal. The bed was super comfortable, and the room has everything. Take the breakfast its very nice and worth it! Staff is nice, flexible with payment and kind, we took airpt transfer at night. Quiet and "stylish" stay in October, thank you we loved it! The staff were very helpful and friendly. They made our stay easy and enjoyable! Our stayed was to short.. The cold water in the swimming pool. The staff went above and beyond. They were so helpful in every way. My husband had difficulty walking and breakfast is served upstairs so they carried the breakfast tray down to him and came with a refill of coffee for him. George our driver to and from the airport was so warm and friendly, Heleni at the front desk helped with our car rental and where to go for my nails to name a few things they helped with and always with a smile. I would highly recommend staying there.